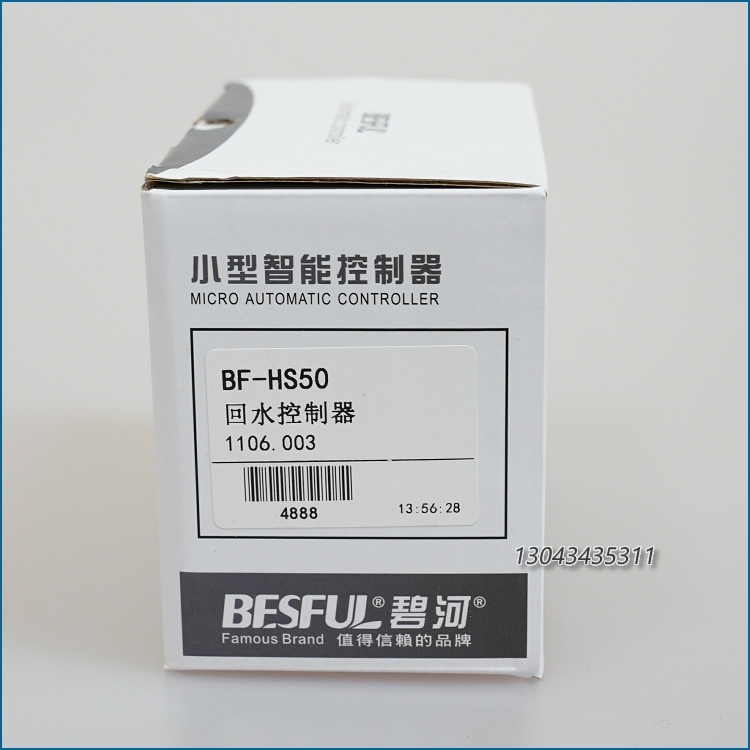 BF-HS50 Backwater Controller is a controller for pipeline return water that can be triggered by a temperature or water flow switch. [Working principle]: (1) When the return water is triggered by the temperature, each time the return water waits for the cycle time (00:00~23 hours: 59 minutes), as long as the temperature is lower than the set return water temperature, the return water will be triggered. Action, return water delay (00:05 ~ 30 minutes: 00 seconds) and then stop returning water. (2) The water flow switch triggers the return water. 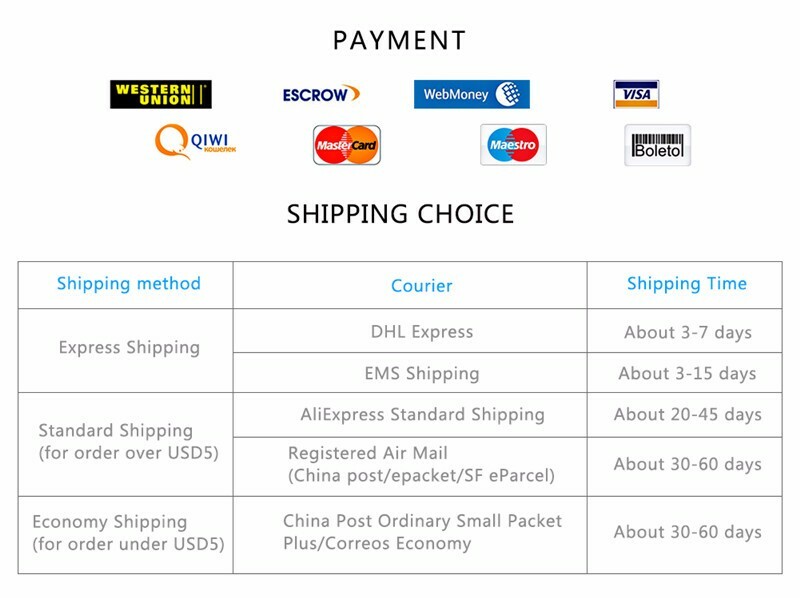 Whenever there is a water flow switch action, the water return action will be triggered, and the water return delay (00:05~30 minutes:00 seconds) will stop the return water. The HS50 has a pipeline antifreeze cycle function, which can effectively prevent pipe icing. Wide field power supply design, can work adaptively between AC80V ~ 240V power supply, stable, reliable and durable. 2. The current capacity of each output contact is 6 amps for resistive load and 1 amp for inductive load. 1. 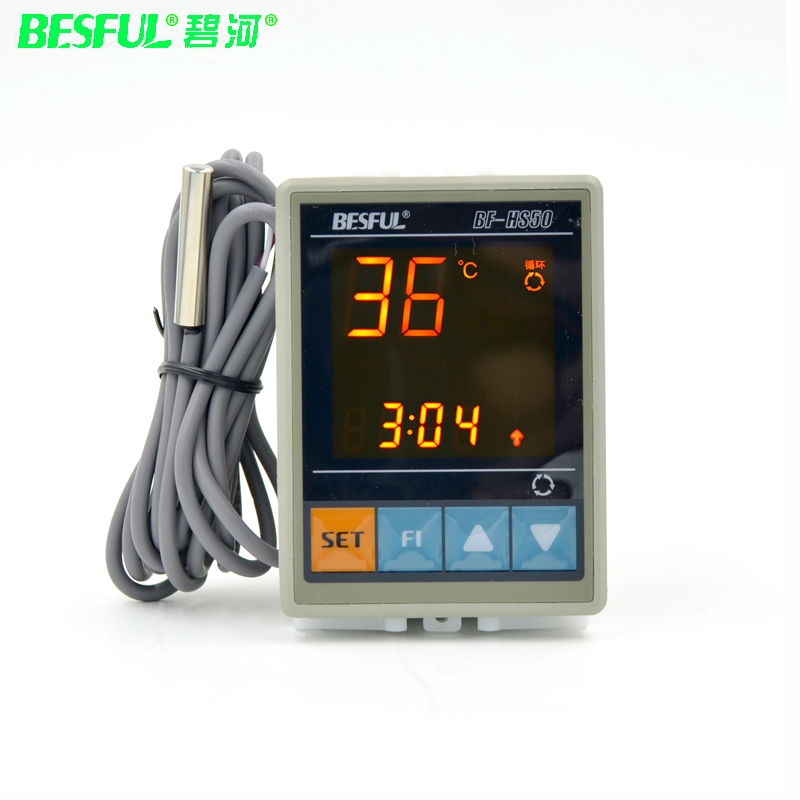 The temperature sensing line can be connected to 100 meters with ordinary wires for long distances. 2. Set the parameters to power down and keep the memory for a long time. 2. Each output contact current capacity of 6 amps resistive load, inductive load 1 Ampere. Q: Under what conditions will the water return to water when it is automatically returned? A: It will be turned off when the pipe temperature reaches the set return water temperature, or it will be turned off when the return water length is equal to the set return water delay time. 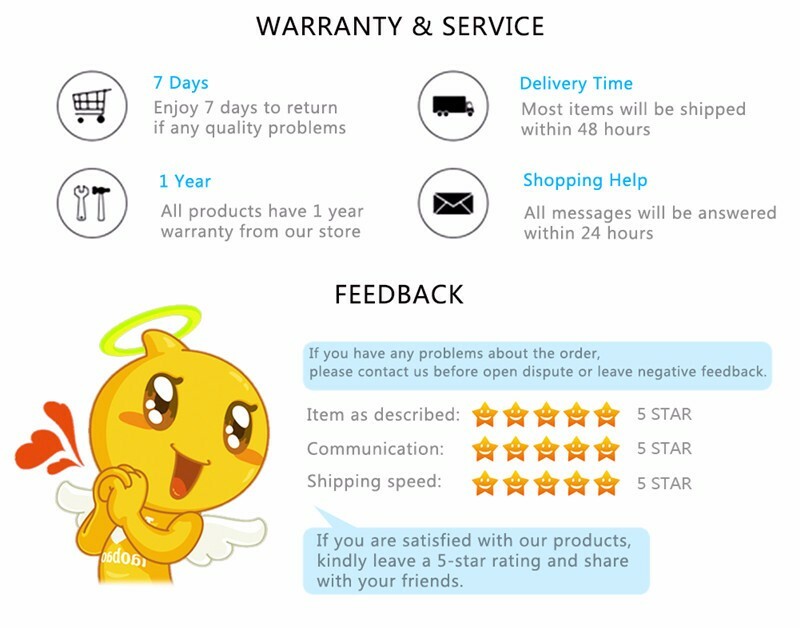 Q: When the water return cycle has not arrived, the temperature will be low and the heat preservation cycle will not be started. Is there any antifreeze function? A: Yes, when the pipe measurement temperature is lower than the set antifreeze temperature, the circulation pump starts. When the pipe temperature reaches the antifreeze temperature, the circulation pump is stopped. 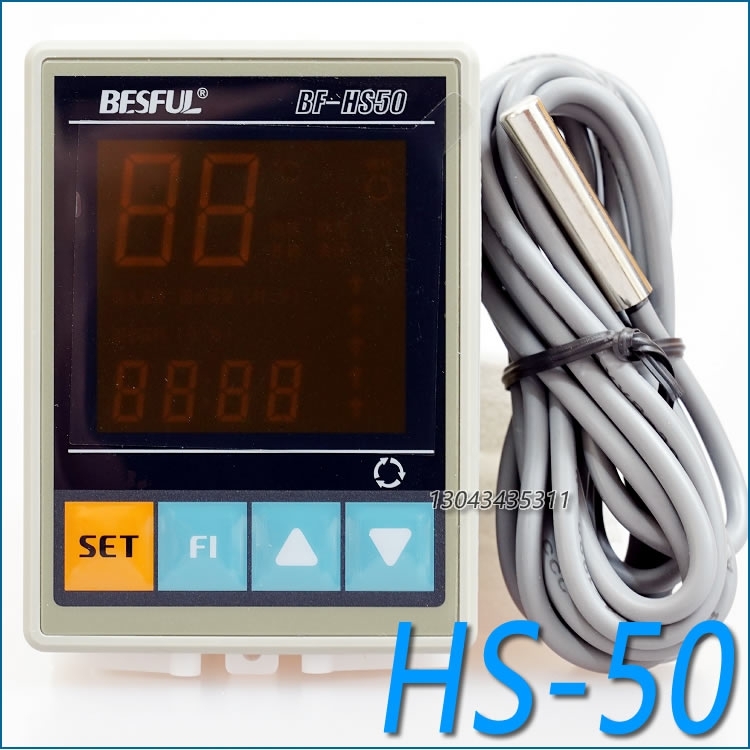 Q: Can HS50 control the return water only by the water flow switch? When the water is used, the return water pump works, and stops when the return water temperature stops or reaches the return water delay time? Q: What is the relay output power of the HS50? 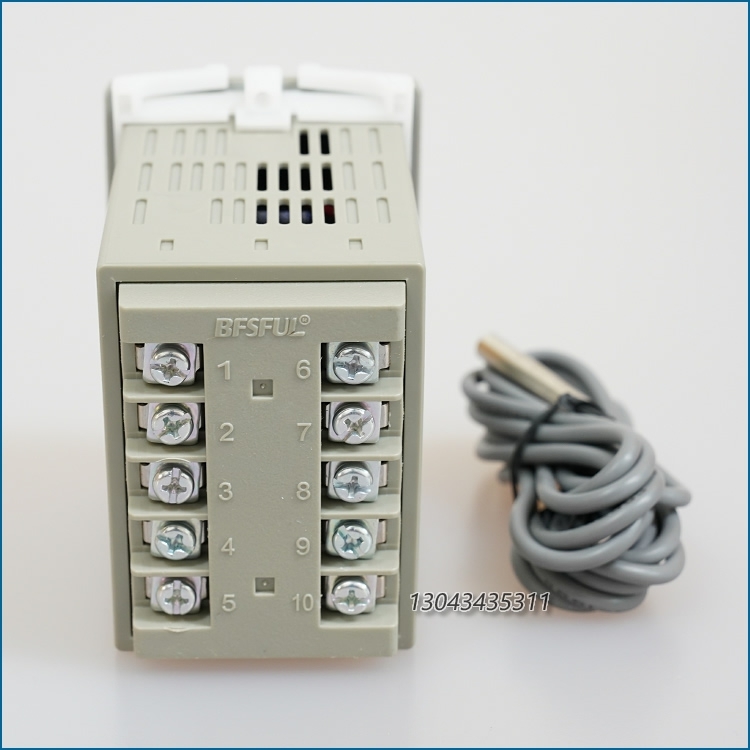 Answer: The relay output of HS50 is 220V/6A (resistive), 220V/1A (inductive), which can control 200W pump. Pumps exceeding this power need to be exchanged with AC contactor.